I went with Cindy to the store to buy all the supplies for a our Thanksgiving feast. We went late at night to avoid the crowd and becasue we were Lae getting off from work. The aisles were filled with other shoppers who were on similar missions. We began to help each other. The problem with going late is that I was tired and a little punchy. I began to pick up random items and sneak them into the basket. I managed to get a pepper grinder with multiple colored corns into our cart. I got a bottle of Carmel Macchiato from the dairy section. Then I stopped at the deeply discounted damaged and discontinued shelf. Behind the damaged cans and broken boxes stood a section of cereal boxes. They were held the price of their similar cousins. I was made for this box of cereal. You have to know that “Special K” is my cereal for an obvious reason, I am a “special” K. It has stood proudly in our pantry for many years. More so since they started adding strawberries tot he mix several years ago. Now a great cereal is linked to my favorite fruit. Now, I was confronted with this new flavor. I love autumn. I love the smell of piles of leaves, smoke from the chimney and holiday flavors. 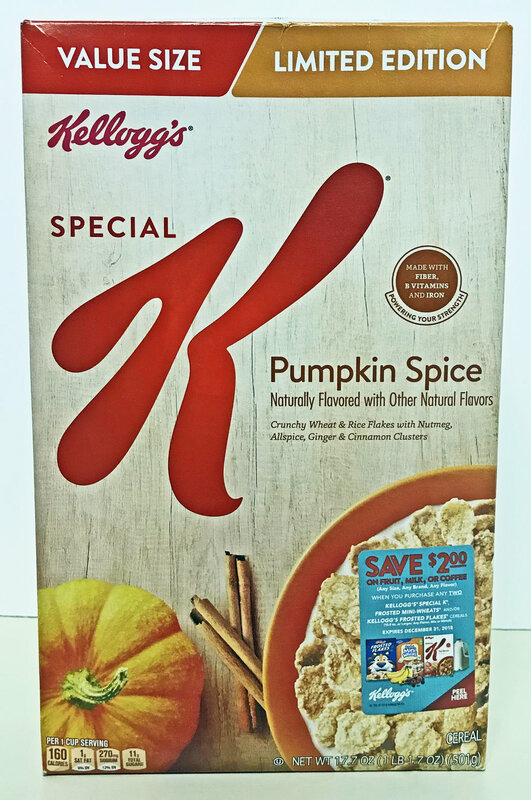 The box proudly proclaimed that the cereal had pumpkin spice and hints of cinnamon and nutmeg. They had me at cinnamon. As I put it into the top of the basket, no hiding this proud purchase, I counted the remaining boxes. I was planning my strategy for cornering the Athens market of this breakfast delight. Im writing this on the morning that I am going to crack open the box and try it, Ill be back in a second. Its good. Pumpkin spice can be over done, but this is subtle. It is slightly sweet with burst of flavor. It was unexpected. It was really good. I’ll be heading back to the store before this newsletter gets posted. I love trying something new. Why not crawl out of the rut and try something entirely new? I imagine that there are so many more experiences we can all have, but we wall ourselves off with familiarity. God tells us that there is something new in this day, why not find it? I came into the house through the laundry room. I was not paying attention because the dogs were so glad to meet me and were twirling around my legs. Then out of the corner of my eye I saw a disembodied had on the dryer. It was with Cindy’s computer bag, so I knew what it was. It was a prop. It was going to be used for a skit in the Lodge. The Lodge is one of our attempts to link parents and our church more deeply together in the task of spiritual discipleship. Each week a group of youth and adults practice and perform a 30 minute presentation of the bible, a value and a contemporary story applying the idea. Frequently, we are the prop department. This prop, however, was more unusual than most. It was really weird. I thought I should have been warned before I open the door. “By the way, don’t mind the arm on the dryer.” I came into the house with a strange look on my face. I just had to say, “Arm?” We have laughed about it for several days. When do you need a warning? When do you need to give someone a heads up? It started during the First World War. It was a measure of the real cost of standing up for our cherished beliefs. We should not imagine that we can get through the battle for the truth in our world without paying the real cost. Sometimes its money, more often, it is time, commitment and choices. This is what it will cost us to do the work God has called us to. My index fingerprint popped off of the glass. LIke the red stains on Lady Macbeth’s I searched around for something to wipe off the evidence. I was on my back in the chair and there was nothing in my reach. If I sat up, I would draw attention to myself. If I ran to the bathroom to get a tissue, all the subtlety of the situation would be gone. I decided I need to stay put. They returned to my mouth. My eyes could not see anything else but the fingerprint. I told them about my mischief right away. They were in sterile mode, so no one reached up to touch the light or eradicate the image. Instead they continued working and I continued watching the image I had created. Most of us have been living with at least some sensitivity to the question, “What if people opened my high school yearbook?” What are the marks I made on the lives of people around me? At my five and ten year high school reunion the most common response I got to my answer (I am a pastor) to the question, “What do you do?” was stunned disbelief. I sorted through some old photos wondering about people I have not see in nearly 40 years. We all make a mark and often they are indelible. They cannot be easily washed away. The impressions we gave people, the things we said, the things we did all create the picture of our life that we put in their hands. There are no throw away days, no do overs. There is forgiveness. There is redemption. There is new creation, but it comes at the cost of the cross. The fingerprint will be erased before the next patient sits in the chair. Our legacy is built day after day and is not easily rewritten. Leave a good mark every day. I walked out of the door. I saw a tiny red jelly bean. I briefly thought about eating it, but realized it did not meet the three second rule. The bright red oval called for my attention. I turned around and went back. 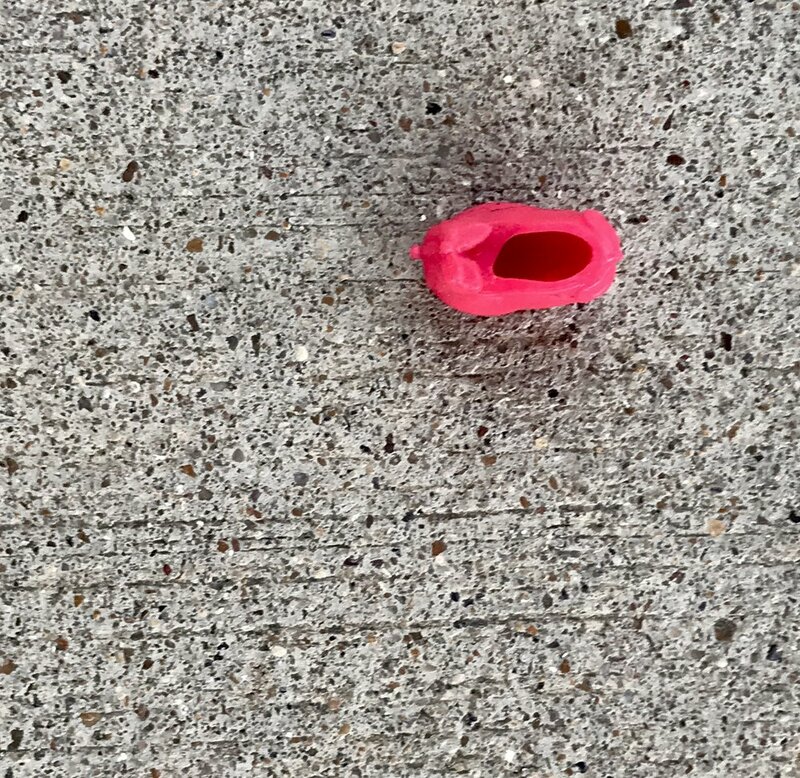 I got down on my knees and saw at once that it was not a jelly bean, but a tiny little shoe. I saw at once the the tiny naked foot with no red shoe, and a doll unable to stand without toppling over due to the imbalance. I thought of poor Cinderalla running away from her prince because she was afraid to be seen as she really was, realizing she would be judged by her tattered clothes and not her sterling character. All the fears of the haves and the have nots wrapped up in that moment. I was wondering if the reason this story has endured is because of this one moment-when the fear of transparency leads to shame , fleeing and hiding. We live in an ungracious time and the consequences seem to be impacting us all. Then all at once I thought about my sock. I have this sock that I really love. Due to my blood clot I wear support socks. They do not have many attractive choices. I bought a dozen pair of ordinary black socks just to mitigate the predictable sock loss of life. I, however, did find some stylish socks that meet my support needs. I bought four pair—colored stripes, polka dots, argyle and color blocked. My favorite pair (colors blocked) is no longer a pair, but a solo. I have searched high and low in hopes to find my sock. I have checked in suitcases, sock drawers and the lint filter. Knowing about static cling I have checked blankets and towels. It cannot be found. I have kept the sock out on the top of my dresser reminding myself each day to search again. Sometimes I’m too tired. Sometimes I can’t figure out where to look next. Sometimes it makes me sad. Jesus tells a story about a woman who lost a coin and searches till she finds it. I am going to keep searching. Its not a very important search to find a sock. I can replace it. Searching to find each other is important—to see each other truly. To love each other fully regardless of the prejudicial issues of the day (race, gender, economics . . .). Why do we hide from each other? Because we don’t have a culture of love and trust. I am too afraid to show you my whole self, warts and all, because too many people are willing to judge and destroy. When people met Jesus he loved them as they were and people were transparent with him. They did not have to hide. Oh that when people meet us they felt that love and acceptance. I looked out into the backyard and saw a flash of white. I could not figure what the dogs had gotten into and then dragged around the yard, but I intend to find out. I took three long steps to the door, grabbed the handle and was about to raise my voice when I saw the mushroom. It was a traditional mushroom tall slender base with a umbrella like top. It was delicate and fancy. The dogs walked back and forth past it with very little interest. Later we were on a walk in Cain Park. I was trying to figure out how to walk around the park, but stay in the shade. It made for a Family Circus route (click here to see one of those old comics). There in one of the shady spots was this round thing. 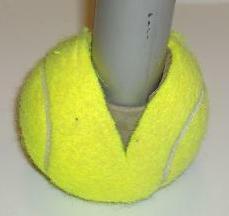 At first it looked like a golf ball, but on examination it was not. The deep structure looked like repeating heptagons. I’m not sure what it was, but it was elegant. The light fell on it and made it glow. The dogs passed with little interest. Beauty and wonder are categories that make us human. We see things that delight us, that intrigue us, that brings us the simple joy of observation. I called Cindy on the phone as I walked out of the sanctuary toward the ROC, “Hey come outside and look at the clouds, they are amazing!” The intricate color only lasted a few minutes, but it filled me up. I good friend posted a photograph of clouds that was spot on a T-REx (his nickname) and it made me laugh out loud. We have been taught to stop and smell the flowers, but I would add, stop and stare at the mushrooms, lie down and dream about the clouds, pause and consider the intricate structures. It really is a beautiful world. The sign came whipping by very fast. I was driving at highway speed and was the only one in the car to see it. Twenty miles later I was prepared and stopped and took a picture of it. I don't think I had ever seen it before. I have seen deer crossing signs. I have even seen them for moose, bighorn sheep and elk. 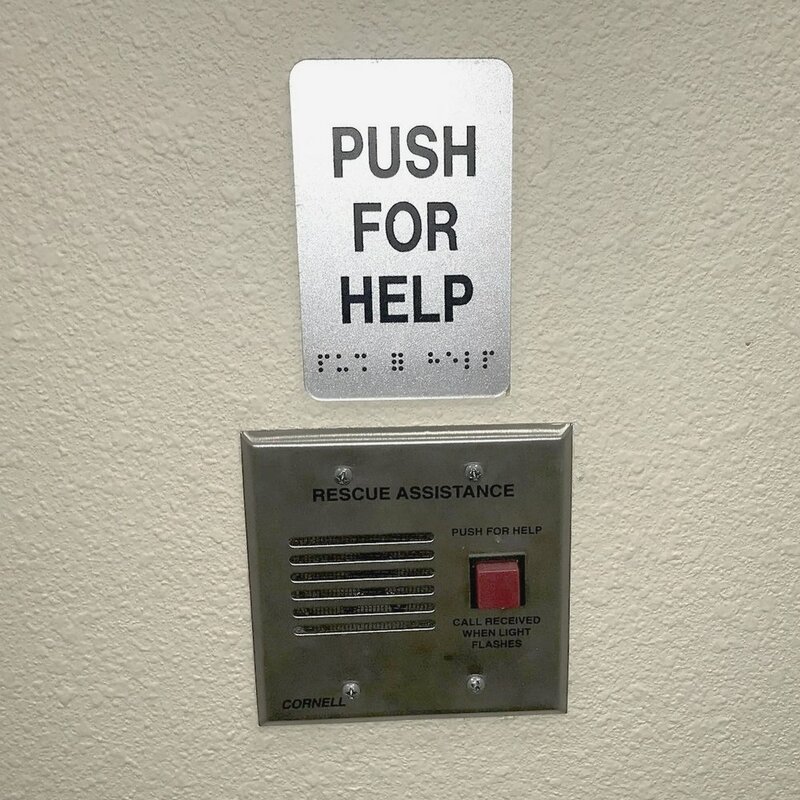 This was a new sign for me. I admit, I gripped the steering wheel more than usual. My eyes scanned the underbrush for movement. We came out of the twenty miles unscathed. My hands throbbed as I tried to get the blood flowing through them again. I did not see a carcass on the road. I was relieved. We drove over 2,000 miles on vacation. We frequently saw deer near the roads. Some right in the middle of the city. I saw a racoon waddling down the shoulder of the highway. A fox ran across the highway right in front of me. We did not make contact with any of the fauna. We have had impacts with animals in the past: deer, hogs, dogs and a racoon. Not only does it make me really sad, each incident was filled with loads of adenaline. Life comes with a warning. There is danger ahead. It is not going to be easy. There is going to be trouble. You don't know when or where it is going to come from so you have to keep scanning ahead. It's just that I don't want to be living with such a tight grip on the wheel. I don't want to live in fear. I want to be careful enough, but more carefree. We hiked to the highpoint of Connecticut. It started to rain, not a gentle drizzle, but a drenching deluge. The trail filled with water and became a stream. I happily stomped through the water. The sound of the rain was all around us and the forest was beautiful as it was washed from above. The rocks were slippery and the decent tricky, but I was joyful in the journey. We were walking down a path and I looked at Logan's shoe. There was a green snake flailing beneath his heel. We all stopped and watched the bright green against the dark black asphalt. The snake disappeared quickly into the grass. I really don't like snakes, but it was beautiful. Take a risk. Get wet. Go somewhere off the beaten path. Don't play it safe. Don't live with so much fear. "Do not fear, for I am with you" Is 41:10. Move In day is Sunday, September 9! We can see the top from here! It has a been a long climb, but we can confidently announce that we will start regular Sunday worship in the refreshed sanctuary on September 9th. There are still many items to be done in the building, but we are ready to commit to a day so that we can all start getting ready. We will have a great day. We will have one unified worship service that will start with Baptism and we will launch a five-week series on the book of Mark. We will be encouraging Bible Fellowship groups to host fellowship breakfasts as they will start meeting in their new locations. It will be a great opportunity to invite friends and family to come and celebrate the great things God is doing in our church. One, we still have to take down the chairs and take up the green tarp each week and our teams have gotten a little thin the last few weeks-lets finish strong in the tabernacle. Two, in mid August we are asking for Bible Fellowship Groups to tour their new meeting spaces and to help us make sure they will be ready for Sept. 9. Three, prayer for the worship teams preparing for the dedication service. Four, reaching out and inviting people to attend, friends, family, people you have not seen in a while. It will be church amnesty day-a day when we all give grace to each other and launch a new season of ministry for FBCA. There was this huge butterfly sunning near a mountain stream. His wings kept opening and slowly pulsating. Then he would float into the air. Like a leaf falling from the sky, the yellow particle fluttered above the water and then would sudden wheel around and against a stiff breaze would fight back upstream. Over and over again it made the same loop. 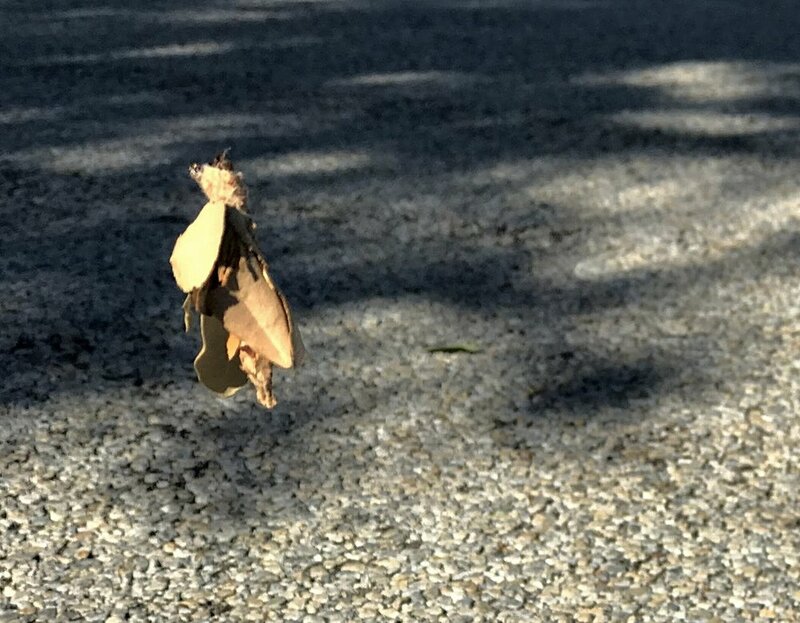 Occasionally, it would stop on the ground and open and close its wings. We, and a number of other visitors to the National Park, watched the beautiful dance in the sky. We all waited with our cameras outstretched. In the brief moments when the butterfly stopped, we all tried to get a good photograph. It never happened. Somehow it never fully opened its wings unless it was in the air and it moved too fast. We had come to climb ladders and stairs to the top of a cliff dwelling so we left the butterfly and its audience. We climbed too fast. The high altitude made us feel like we were drowning and our lungs could not find any oxygen. Eventually, high above the valley floor we arrived at our destination. We could look down on the stream and we could see the huge yellow spark. After visiting the top we made our way down the ladders and to the valley floor. The yellow butterfly was still in the same spot making the same loop. The ballerina danced. The stream played the music. The performance was repeated. People watched and snapped photos. it was beautiful. It all happened in the shadow of an ancient civilization. Other people, long ago, sat by this same stream, listen to birds, watched the light play against the walls and lived their whole lives. They farmed, and fed their families. They carved a few faint images on the walls. That is about all they left. When you visit a fallen, faded culture you ask the relevant question, what happened to them? Where did they go? What did they leave behind? You then realize that maybe all we can ever really do is to try to live beautiful lives. The butterfly might have it right. The dwellings have fallen apart. The fields have returned to the natural grasses, but the air is clear, the sun bright and new. Maybe we should dance and float on the wind. Maybe we should live lives of reckless beauty. Maybe we should live for love deep and powerful. That is the world we should build, because love lasts. I have a stump. It sits in my backyard. I think there is something inside of it. By that I mean, I think there must be a sculpture hidden inside of the wood and I am supposed to release it. I have this dream of using a chainsaw and carving away all the un important parts and leaving something amazing in its place. Sometimes, not when it is this hot outside, I sit in the swing and look at it. I really want it to be a bear. I really want it to be standing on its legs and pawing toward the sky. Then if anyone ever breaks into our backyard at night, they might a shock as they see it in the darkness. I have a collection of bears. They sit on the shelf and make me smile when I look at them. We brought one that was bigger than the shelf and set it on the floor. Our dogs wigged out. They barked and growled. Eventually, they learned to ignore it. Im afraid that has happened to the stump. I have ignored it for a long time. Suddenly, this week, I was in the backyard and was reminded of the the encased image. I decided that I am going to take a series of pictures from different angles and then see it the silhouette might give me a clue of what is inside. It is easy to get used to something to the point of ignoring it. The stump is eight feet tall, but it barely makes a blip on my screen. The dogs walk past the wooden bear as if it is invisible. What are you ignoring? What have you seen so often that you do not see it any longer? Is there a behavior that you know you need to change, but have almost forgotten to fix it? Maybe take some time and try to see your life with new eyes and remember to get around to the things that really matter to you. Slowly, rhythmically they pushed the tree. After a few seconds the dead tree groaned and then leapt toward the carpeted forest floor. Its contact with the dirt was sudden. I could feel it in my bones. It was a deep, resonate sound, both flat and intense. The shock wave swept through me. It was very satisfying. Even if no human had been there, the forest would hear the sound. The leaves rustled as the trunk passed-almost like an honor guard. The grass riffled and then fell silent. The birds paused and then returned to their songs. The insects almost immediately went to work breaking the wood down into smaller bits. This tree would feed the forest for many days to come. What happens when we are not around? The echo of our lives fills the air. Over the past several years we have been turning parts of our buildings into opportunities for the message of our church to be heard when we are not around the building. We added a clock to the steeple tower reminding people that every day is precious and time is moving toward God's coming day. We should make use of the time. We added special lighting to the steeple (which will be reconnected and working when the renovations are completed). Several people who were skeptical after seeing the lights on special occasions becomes champions of the lights. They will become a way to celebrate our town. We want people to know that our church is proud to be at the center of our community. We added our Mañana Today banners. It is important to us to tell our community that we have a bilingual church where everyone is welcomed. Since the elementary grades are overwhelming bilingual, any church that wants to be relevant in this community must have a plan for reaching all of Athens. The new letters above the columns allow us to lift high our three great values. Love God, Live Like Jesus, Serve Others. For the first time, people who come to our building will immediately know something about us. How great is it to have the name of Jesus high above our town? Jesus said, "when I am lifted up from the earth, I will draw all people to myself" John 12:32. I'm so proud that our church stands for these three things and that everyone who sees our building will know that is what we say. Our lives will give evidence if what we say on our buildings is true in our lives. It had been a really long day. We finished youth camp. I drove 2 hours to Arlington to the hospital to check on my Dad. Right as I got their they came to move him tot he rehabilitation hospital so I didn't get to talk tot him except to say, "Hello." They hurried him out and I got the address to follow the ambulance. I stopped to write my article and send a couple of things to the office and then headed to the place. I knew there would be that check in chaos, but it was worse than I expected. Person after person came in needing forms signed and information. Sometimes, they were competing with each other. Frequently they seemed mad at us for not being finished. The director came down and told one of us that we had to go to the main office to check in. She left in exasperation. We were exhausted. It took nearly 2 hours before there was any moment to ourselves. After a trip back home to receive some things it looked like Mel was buttoned in for the night and I felt like I could leave and head to Athens. I was hungry. I had missed lunch in the hurry to get to Arlington and now I was on the edge of grouchy. I decided to stop at a fast food place that I enjoy. I was going to sit. Eat oriental food and drink a tall glass of sweat tea. I got in line and waited. It took a little while. The attendant looked right past the guy in front of me and asked me what I wanted to order. I immediately pointed to him and said, "He was here first." The attendant turned and looked at him. He looked at me and then at her and handed here a bag of food. "I want my money back," he proclaimed. She did not move. "These are not any good," came out of his mouth as he produced a bag with some mystery item in it. "We can replace them" was his reply. "No, I just want my money back." More hesitation. The two cashiers talked for a bit. They finally decided to give him his $1.47. They gave it out like it was taffy stuck in a raccoons fur. I was amazed at their reluctance and his persistence. I went back to his seat tired from the encounter. I placed my order, got my food, paid my bill and then headed to the drink area. This was the tricky part. I do not like the regular fountain drinks at this place, but they have great sweat tea. I was really looking forward to the tea. Before I ordered, I checked to see if they had the container for sweat tea. I filled the cup up with a mound of ice. I was hot and tired and I wanted something cold. I pulled the handle. Three drips released into my ice maze. I took a deep sigh and went back to the counter. "Can I have some sweat tea from behind the counter?" "We ran out. We will have to make some." I had been in line for at least ten minutes. They already were aware of the missing tea. I shook my head. "I would really like to have some sweat tea." I shuffled over to me seat. I just needed to sit for a little bit. I also needed to send an email, so I worked and chewed and waited. I watched. No tea was in my future. I had a two hour drive home and was counting on that tea to get me home. After thirty minutes, I had licked my plate clean done all the work I could do and could tell that they had not yet responded to my request. I went back to the counter. "I would like some tea," I said with as little heat as possible. "Well, we have been really busy." I held up my receipt. "It has been thirty minutes since I asked you for tea. You said you were going to make some." She stared at me. "I would like my money back." She seemed stunned. "I don't think we can do that." I was incredulous. I knew they could give money back. They did not move. I asked for the manager. I reviewed the process and again asked for my money back. It was $1.99. He went in the back and came out with $3.00. I told him I only needed what I paid for, but he insisted. I went down the street and bought two one dollar sweat teas from another place for $2.00. Later, I wish I had given the money to the cashier and told her that the gap between the request and the response is the measure of great service. I wanted her to remember me, not as that cranky guy, but that surprising guy who gave a a money tip and a life tip. I bet she went home and told a story about how this really demanding guy ruined her night. I bet she got jumped on my her manager. I listened to the sermon last Sunday about adding value to others. I don't think I did a very good job. The sermon last week made me want to do better. My Dad fell and broke his hip on Monday. I was on my way to Youth Camp when it happened and in and out of cell phone coverage so I did not get the message until I stopped and got out of the car at camp. I called his wife Wanda for an update. They had been going out for pizza at lunch time. They were going to an old Arlington hangout, Mama's Pizza that had gotten a write up in the paper. Somehow as he was stepping up from the parking lot to the sidewalk he got his feet tangled. They were holding hands and so they fell together. He landed right on the curb. She landed on him and then she hit the sidewalk with her face. After 5 hours in the ER, they had a room and a plan which involved surgery on Tue. I got up that morning and drove from camp (south of Waco) to Arlington. I arrived and we waited for the surgery to start. It was later than expected, but finally they came to take him about 2:30. I decided to slip across the street to get lunch and then hurry back before the surgery was finished. Wanda had several friends with her and I told here I would be right back. I headed to the parking garage and called Cindy who was immersed in VBS preparations to give her an update. As I approached my car I dropped the call, too much concrete. I started the car up and headed toward the exit. I did not make it. I heard a noise. I stopped the car. I got out. My tire was completely flat. I knew intently what I had to do. I had to change the tire, go get it fixed and then hurry back so that I could return to Youth Camp that night. I hoped open the trunk, grabbed the necessary equipment and started the process. It was the first time in this car so I was unfamiliar with several things. I had to crawl around to find the gift spots. I could not figure out the twisting part of the jack and so it took tons of extra time. I got the flat tire off easier than getting the donut tire back on. All the while I was trying to keep my kaki pants and yellow shirt clean. Finally, the flat tire was int he trunk, the new tire was one and I got into the car dripping wet. I headed to a tire place. I waited in line and asked if they could fixe my tire. They came and looked and said yes. 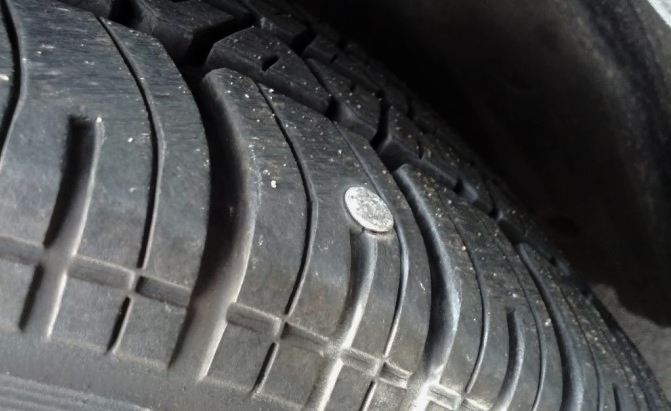 It was clear that a screw or a nail was in it. There were several people in front of me so I sat down and waited. I called and texted Wanda my update, but got no response. I waited. Eventually, they took my car to the shop area. I tried to do some work while I waited. I kept checking my phone to see if Wanda had gotten my messages. Still nothing. Then the text came through, Mel was out of surgery. I screamed a little on the inside. I walked out of the place and got into my car and headed back to the hospital. Dad was wheeled into his room not long after. He had had three screws put in and I had had 1 taken out. A screw in the right place can do a lot of good, in the wrong place it can be deflating. He was in good spirits and sent me bak to youth camp. After Camp ended, I headed back to Arlington on Friday afternoon and got to see him walking. I'm writing this at Starbucks as I wait for him to get delivered to a rehab center to help strengthen his muscles and get him back on his feet. It has been a great, difficult, trying, exciting, surprising week. Youth Camp, Broken Hip, Surgery, sermons, relay races, blobbing, rehabbing, driving, praying. A typical week in my life. Life is complicated, hard and rich. I read the news early this morning. It said that the Eifel Zoo in Luenebach, Germany had been inundated by floods and that lions and tigers and a bear had escaped, "Oh, My!" Later, it was confirmed that only the bear had escaped and tragically had to be shot. The other animals were still in their enclosures. It happened that I was also painting lions today on the gates of Babylon, well it was blue cardboard boxes, but we are using our imaginations. The blue entrance adorned the ancient city and the throne room. Daniel, from the Bible, would have walked passed the lions on a regular basis. They are made from beautiful glazed bricks. The first time I saw one, I was stunned by the intensity of the color. It made me rethink the ancient world and my preconceived notions. Through an odd set of circumstances, happy accidents and occasional planing I have managed to see many of the actual remains of theses lion sculptures. When I was a boy, we went to the British museum and saw my first Babylon Lion. Then I saw one in the Louvre. Over twenty years ago our family went on vacation to Chicago. We went to the Oriential Museum on the campus of the University of Chicago. They have a huge display of materials from Nebuchadnezzar's palace, including two lions. On vacation to New York, we stumbled upon one in the Metropolitan Museum of Art. We saw the gates themselves and numerous of the glazed brick animals (it includes cattle and some mythical beasts) in Berlin. Two summers ago we went to the oldest Baptist Church in America, in Providence Rhode Island. We had a little bit of extra time and some people recommended the RISD (Rhode Island School of Design). We had low expectations, and then suddenly were confronted by one of these ancient feline statues. In January, Cindy and I went to the Archeological Museum in Istanbul to see and artifact from Israel. After exhausting the main part of the museum we stepped into our last building and were delighted to find the largest collection of these Ancient Babylonian decorations. (I missed one in Boston last year). Apparently you cannot have a legitimate museum without one of these lions. (Museums in Copenhagen, Detroit, Gothenburg, Sweden, Munich, Vienna, Toronto, and Yale all have some). There were 120 lions, made of forty-six bricks in eleven rows. They lined the Processional Way which extended nearly half a mile into the city of Babylon. 2600 years ago the city was a marvel. I love that archeologists found these remains in the late 1800's and they reinforce the stories told in the Bible. They found the remains of the King's throne room, his ancient inscription dedicating the gateway. When people think that the Bible is filled with fictional stories, I like to show the the truth. Daniel really did live and work in a kingdom obsessed with lions. It does not take much to believe that they had a lion's den. Then we are confronted with the stories that require faith-that God protected Daniel and his friends in this foreign and hostile place. I for one believe the stories. That is why we will be teaching them to our children during Bible School in two weeks. our theme is Dare to be a Daniel. Why not join us in Babylon?